This afternoon on the Aurora we headed back to where all the whale action yesterday was. 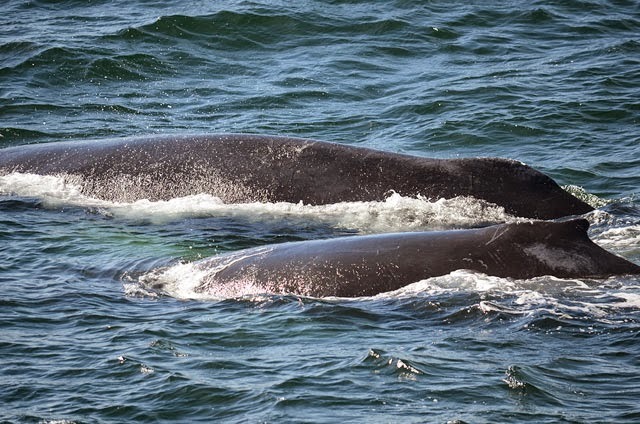 When we arrived near Thacher’s, we found Valley and calf traveling slowly together, taking moderate dives. 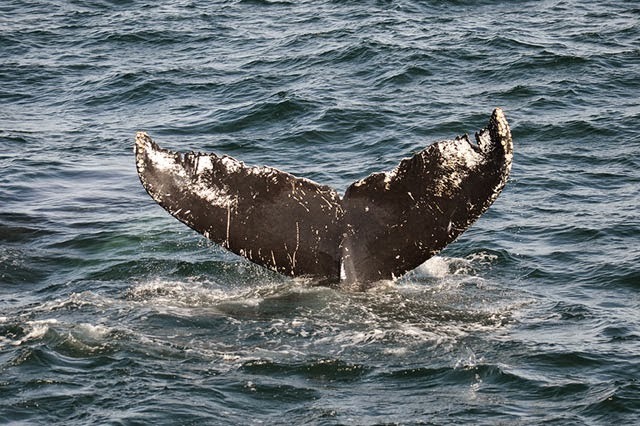 Valley’s calf was resting a bit today, bobbing at the surface while Valley would dive deeper. 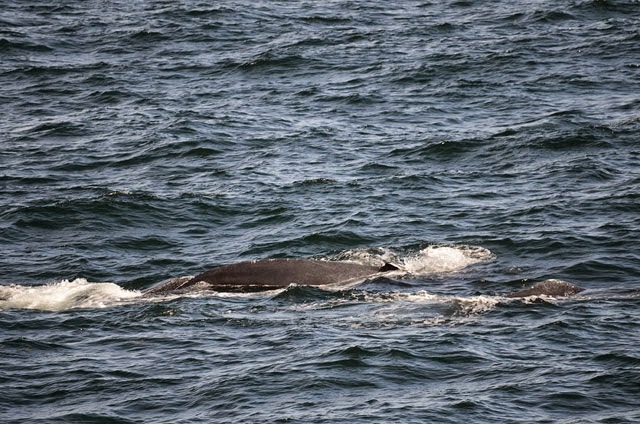 We then observed some nursing behavior, as the calf alternated sides alongside Valley, and a few times it turned on its side. 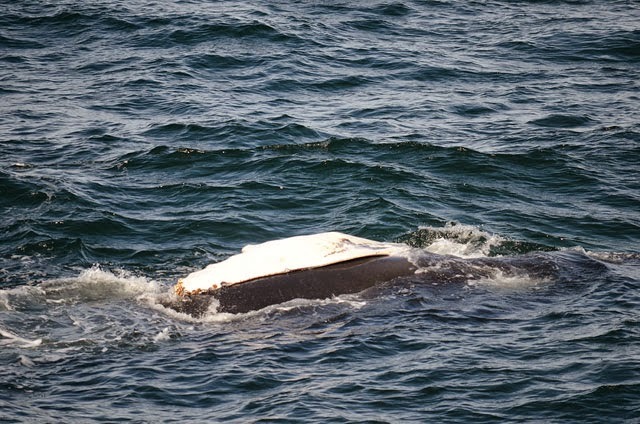 After a brief bit of nursing, the calf rolled a bit and rested more at the surface. Great to see this growing calf (it has definitely been getting big! ), lounging peacefully today. 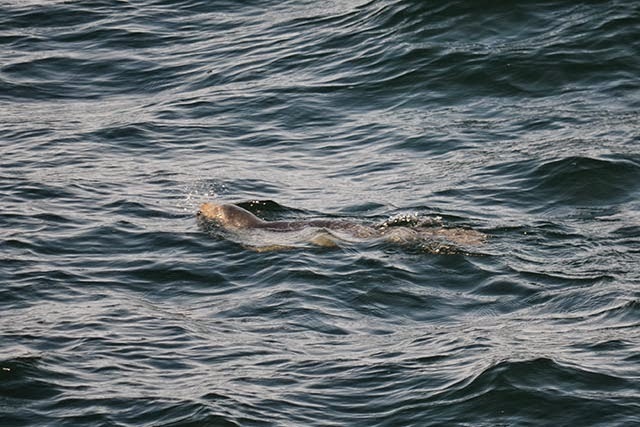 We also spotted a harbor seal pup (now on its own after weaning from its mother in early summer) during our trip as well, and another larger adult resting as we left Valley and calf.